Next up? Grab those cute whistles and print these out! 1. 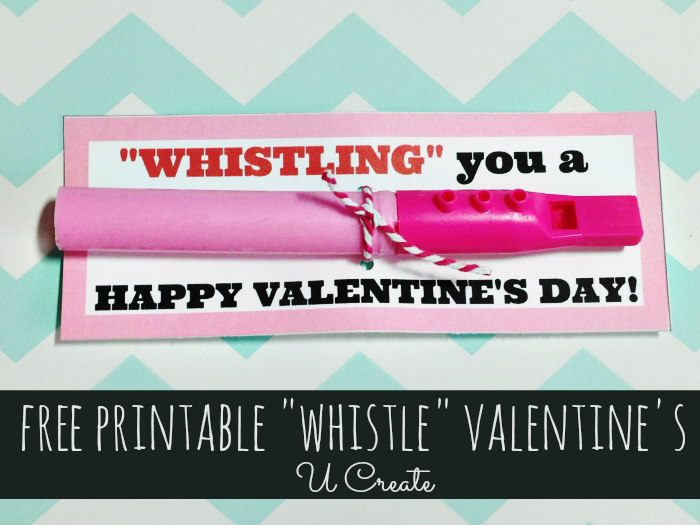 Print out Whistle sheet and cut out Valentines. 3. Tie on the whistle with twine (you can also tape the back for a more secure hold). 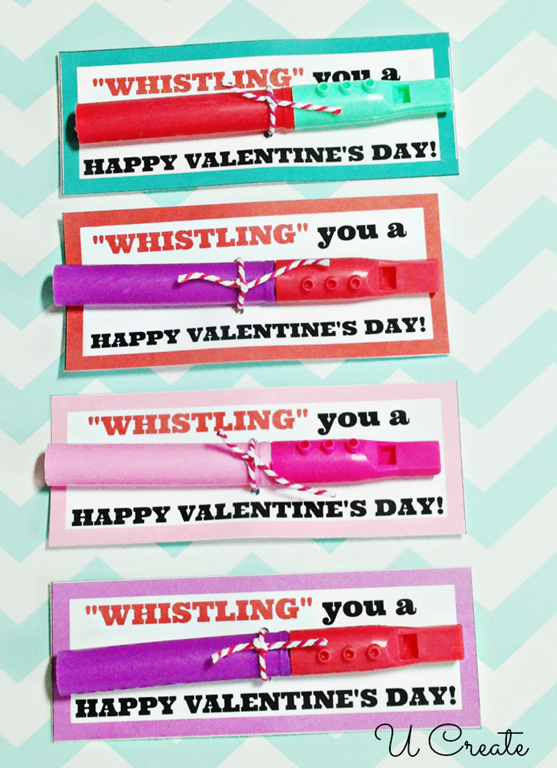 Hand them out for whistling fun!! DIY Family Motto Easter Egg Coupons DIY Pallet Framed Mirror Free Stitchable: Valentine Conversation Hearts Master Bedroom Reveal!